Picture originally uploaded by Shortride on Jun 25, 2009. One day, while toiling away at his day job, R.A. Salvatore received a phone call. It was his editor, telling him she needed a new sidekick for his debut Forgotten Realms novel The Crystal Shard, and, since she was heading into a meeting, needed it immediately. On a whim, he thought up a male dark-elf ranger by the name of Drizzt do'Urden. When she asked if he could spell that, he said “not a chance.” He soon learned, and through more than twenty adventurous novels, has developed Drizzt and his companions into fantasy icons. The newest Drizzt adventure, The Companion's Codex, Volume Two: Rise of the King, pits our heroes against the deadly orc kingdom of Many-Arrows. We’re celebrating the release of Rise of the King: Companions Codex II with an event featuring one of the most popular fantasy writers of the modern era. R.A. Salvatore's The Legend of Drizzt books have been a consistent presence on the New York Times best-seller list and have sold millions of copies in the more than thirty years they've been in print. Salvatore’s new series, The Companions Codex books, marks a new era in the Legend of Drizzt, with Drizzt reunited with his original sidekicks. As the Companions of the Hall -- Catti-brie, Bruenor, Regis, and Wulfgar -- explore the powers and pitfalls of their new identities, Drizzt must reconcile the possibilities of their new future together with the secrets of his past. Both long-time fans and those who have newly discovered Salvatore’s masterful world-building will not want to miss this event! The speaking portion of this event is free and open to the public. Wristbands are required for the signing portion of the event and are available only with the purchase of a copy of Charon's Claw from BookPeople. We will begin distributing wristbands at 6pm the day of the event. In the conclusion to the #4 New York Times best-selling Neverwinter Saga, Drizzt draws his swords once more to aid his friends—assisting the beautiful elf Dahlia as she enacts revenge and helping an old foe break the bonds that have held him hostage for more than a hundred years. As one of the fantasy genre's most successful authors, R.A. Salvatore enjoys an ever-expanding and tremendously loyal following. His books regularly appear on The New York Times best-seller lists and have sold more than 10,000,000 copies. PLEASE NOTE: In order to have anything signed at this event, a copy of the event book must be purchased from BookPeople. If you purchase your book from BookPeople in advance of the event, please save your receipt and present it at the event. Thank you for supporting R. A. Salvatore and yourl ocal independent bookstore! In the conclusion to the #4 New York Times best-selling Neverwinter Saga, Drizzt draws his swords once more to aid his friends—assisting the beautiful elf Dahlia as she enacts revenge and helping an old foe break the bonds that have held him hostage for more than a hundred years. R.A. Salvatore is known for his D&D style fantasy novels, such as the Demon Stone series and the immensely popular dark elf novels featuring Drizzt Do'Urden, as well as a growing number of best-selling books set in the universe of George Lucas' Star Wars. The author of more than forty novels, Salvatore has seen over three million copies of his work sold, with many translated into different languages and even audio versions. R.A. Salavatore’s love for fantasy began with the gift of The Lord of the Rings by J.R.R. Tolkien when Salvatore was a sophomore in college. It was this book that caused him to change his major from computer science to journalism. Since then, Bob has created numerous worlds and written multiple series in more than 40 books. Join us for the international launch event for Charon’s Claw, the third entry into the Neverwinter Saga, which brings Drizzt and Dahlia together in this final installment, as Drizzt aids Dhalia in her mission to destroy Alegni. RA Salvatore discusses Neverwinter, The Neverwinter Saga Book II. R.A. Salvatore promotes The Ghost King: Transitions, Book III. 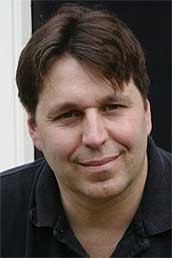 R. A. Salvatore is currently considered a "single author." If one or more works are by a distinct, homonymous authors, go ahead and split the author. R. A. Salvatore is composed of 7 names. You can examine and separate out names.